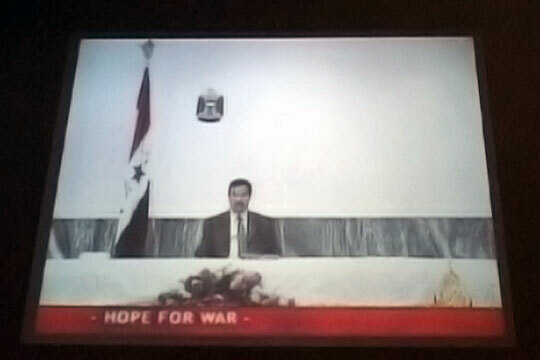 Hope for War is an altered live video projection in cultural centre De Badkuyp. 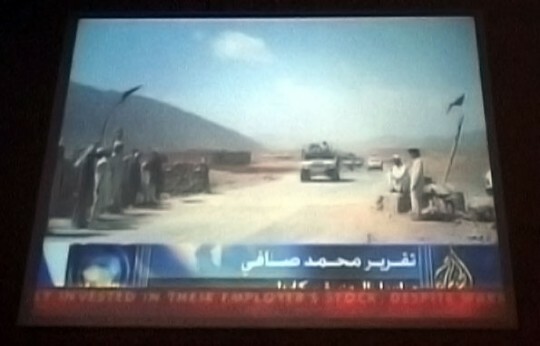 Two news stations, CNN and it’s counterpart Al-Jazeera are mixed and projected. 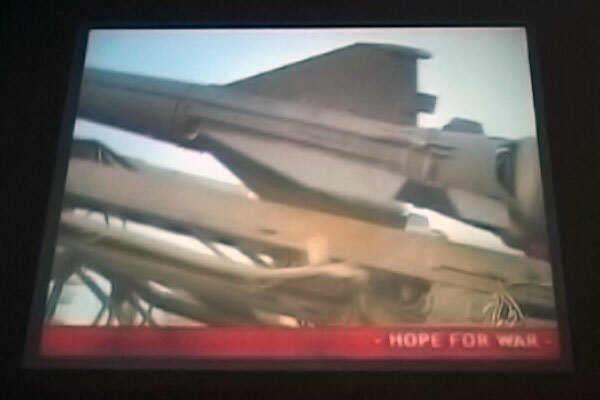 The Al-Jazeera footage (live, via a satellite dish) is mixed with the CNN newsbar, the sound is also from CNN. 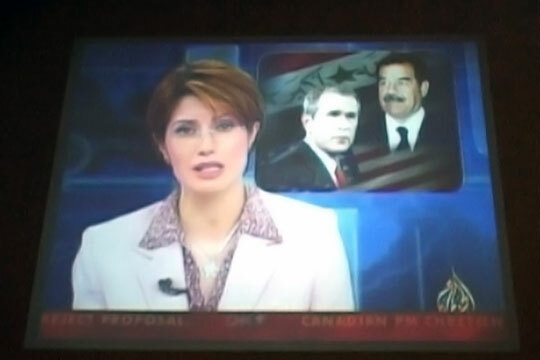 This work was made just only a couple of weeks before the attacks on Iraq by the Americans. Both news-networks treated the same subjects with almost the same footage. By not presenting these two different networks as opposite, but mixing them up, a strange point of view on reality arises. It gets even more confusing when the title of this work interfears with the news in the newsbar. During every commercial break on CNN the title ‘hope for war’ runs through the newsbar.